Key Lime Lovers love Valentine’s Day too! 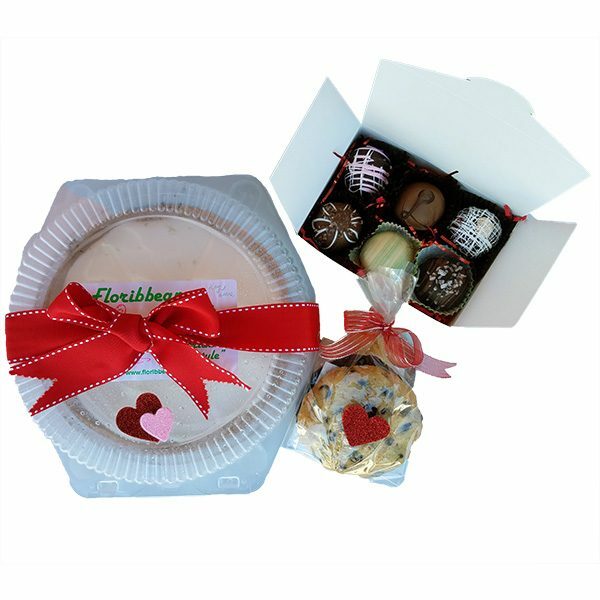 Flo’s very popular Key Lime Pie is the centerpiece but the six piece Truffle Box with Red Silk Rose includes Key Lime Mousse along with the Red Velvet, Sea Salt Carmel, Creme Brulee, Fudge Love and Champagne Truffles. The four Cookie Gift Pack features Flo’s Key Lime Coconut and Key Lime Chocolate Chip Cookies. Lot’s of Key Lime Love!